Whether you are a small company or a large company with thousands of staffs, you need a partner that not only understands converged networks, but one that understands how telephony can fit into your business processes and make them more efficient to ensure the implementation is as smooth as possible. We offer both proprietary and open source solutions to suit your varying needs. Please feel free to contact us for a free Demo presentation of this technology. Mobile and VoIP communications are a necessity for transportation and other logistics companies with responsibilities to keep both office staff and drivers connected. Client satisfaction is greatly impacted by accurate tracking of business operations. The unique requirements of firms in the transportation sector can only be met by a flexible, reliable communications solution..
A transport company like Chisco or ABC transport Limited has branches in almost all the states in the country, there is a need for effective intercommunications internally between staffs of a branch and intercommunication between branch offices. There is also a need for the drivers to be able to communicate back to their offices anywhere they are for free and not using their own mobile phone credit to call. This can also help in tracking of vehicles and communication in case of emergencies. Living Homes: VOIP can be able to replace our traditional PSTN (NITEL) network which used to be available in the past in which homes can be connected to NITEL. In our homes, we all need both internal and external communication. There needs to be internal communication between different rooms in the house, or connection to the security so that if the security needs to communicate with any occupant, she picks up his phone to call, or in situations where neighbors can communicate within themselves for free using voice or video as a value added service for them. Each neighbor has a digital land-line Telephone system In their houses which is capable of internal and external calls or mobile phones. Deploying Voice over IP telephony in Estates also means deploying a Local Area Network (LAN) for each flat as the Estate. This also means that neighbors can be able to share files, collaborate, play online together, make voice & video calls etc. using your LAN. You can also deploy a Central internet connection. One other Value Added Service of VOIP for an estate is that VOIP can softphones can be installed as an APP on tenants, security, Estate agency company staff mobile phones, enabling them to have a number that is reachable in the estate or wherever they are in the world. So they can be able to communicate for free for as long as they want using the VOIP system installed on the Estate LAN. This Value added Service is an ad-on for estate planners, or owners to take into consideration when building a 21st century estate. VOIP Telephony in homes is becoming a new trend that seeks to replace the Public Switched Telephone Network (e.g. NITEL) which has become mundane and dysfunctional. When building your 21st Century Smart home you might need to put into consideration installing the VOIP telephony that would bring in voice, video, text-massaging, mobility, etc. to your home so that even when you are not at home you can still catch up with family or monitor activities going on in the house. Get closer to you kids, use various technology devices like your mobile phone, tablet, softphone on laptop, VOIP handsets, to communicate using voice, video text messaging from wherever you are in the world. Do not build your next 21st century home without considering if it will be able to handle the technological advancements of the future. By 2025 will it still be a home? Call on VOISIP Telecoms even in the initial design of your house so we can lay the cabling infrastructure that will bring amazing value added services to your 21 century home. Clients & customers of the hotel can be able to call to hotel telephone number, which will be answered professionally by an auto-attendant or Interactive Voice Response (IVR) system, or to the customer service front desk, depending on the customization. Depending on who the calling party want to speak with, this call can be forwarded, transferred, etc to any phone number in the hotel. Guests can also receive phone calls or make outbound calls to mobile phones etc which can be charged to their bill depending on how the hotel wants to customize it. This value added service makes the phones in hotel rooms not just for internal communication, but for external communication hereby providing more value added service to guests because phone service today is as important as a hot shower and a bed. This feature can also be disable or customized according to client’s preference. Features like Voicemail, IVR, call recording etc. brings in return over investment for the hotel because calls will be handled in more professional manner when customer service knows their conversation is being recorded, and the hotel will never have to lose a client because calls won’t go unanswered even during off hours. VOIP can integrate with hotel management software bringing value added services like food & valet service, restaurant booking etc. If a hotel has different branches, VOIP can be deployed so that staffs & employees can communicate seamlessly and free of charge using their already existing communications infrastructure. Employees can also communicate free of charge anywhere or at any time using apps installed on their mobile phones and connected the hotel PBX Server. Integrating VOIP Telephony in Hotel is a Value Added Service that will attract the business class. Many hotel customers do not just come for pleasure, they come for business, and for the business class, if a hotel can provide the two equipment that employees use to work (A Computer System with internet, printer & Telephone system) on the business class exotic rooms so that the business class will feel comfortable while doing their business we believe it is an add-on to promote business class loyalty. As technology continues to dominate our global society, the learning environment—from kindergarten to college—is being radically transformed. Like businesses, schools are placing a premium on communication and collaboration, both in the classroom and the community. Switching your school phone system to a VoIP solution can go a long way toward helping you adapt and evolve. VOIP gives administrators, teachers and parents access to a wide variety of applications and tools for more productive collaboration. For Example, a primary/secondary school has lots of Admin Staff & teachers just like every business environment, there is need for internal & external communication for enhance productivity, reduce costs. Another benefit is the added security purpose because with VoIP solutions for schools, school administrators will not have a hard time contacting the parents about matters concerning their children. In the same way, parents can reach the school administrators very easily. This means parents who are even abroad can also make VoIP calls with the school for free. VOIP can also proffer various ways of communication through desk IP phones, Softphones installed in Staff Mobile phones & laptops, mobile IP Phones, making communication easier between staffs whether they are on the move, in the classroom, at home or abroad for free. Schools get a rich feature set that saves time, streamlines communications, improves planning and productivity and making the best possible use of limited IT budgets. Responsive and real-time communication between parents and school staff is critical to achieving successful outcomes. Today’s full-featured VoIP phone systems provide faster and more accurate call routing and handling. So parents can communicate with a mobile app on their phone for free with admin staff and teachers who are constantly on the move. Also, with a VOIP phone system, you can bring all classrooms under one roof. Do you have a foreign language? You can easily interact with other classrooms around the world using a VOIP phone system. Bring mentor programs into your schools with video conferencing messaging and audio conference calls. During emergencies, or in case of general announcements, IP paging feature can be used to page all the phones in schools, hereby sending very important instant one-way messages, which can be acted upon swiftly. When installing a new VoIP System in your institution, it makes sense to extend the system to include mass notification. In today’s world, a mass notification system is necessary, especially in schools, malls, and large campuses. In IP paging, the announcer picks up the handset and dials the paging number. This simultaneously triggers the other phones in the same paging group to auto-answer and they can all hear what the announcer is saying. Maritime facilities, vessels, ships, oil & gas platforms / rigs are notorious for their harsh environments where conventional communications are neither available nor economically feasible. Brutal offshore climate and environmental conditions combined with remote and isolated locations means that communication lifelines are increasingly important to manage the ongoing fleet and vessel operations as well as maintain crew and passenger safety. Beyond that, most rig operators have highlighted the importance of allowing crew to stay in contact with their family as a key contributor to a better quality of life on board. Offshore Communications are also frequently named as one of the key drivers of crew retention as crews have come to expect their level of connectivity to Facebook, Skype, their online banking, and Netflix movies to match what they have at home regardless of where they are stationed. To enable efficient and intelligent communications between employees and staffs a lot of enterprise features like voicemail, conference calling, voice and video calling, Call Hold, call transfer, Call Park, auto-attendant, Ring groups makes business processes easier and professional. Most Oil & Gas Companies have different branches scattered all over the world both onshore (Land) and offshore (Sea), and there is need for efficient communication between branches. VOIP can be deployed between branch offices so they can communicate freely instead of passing calls through the Public Switched telephone network. This benefit, along with other benefits brings good return over investment (ROI) for companies that adopt it. VOIP is being used by the 100% by fortune 500 global companies, and also small, medium oil and gas companies and is already a de-facto standard of communication in this sector which brings a great percentage of the world’s revenue. One of the single most important differentiator among retailers is their ability to deliver high quality customer service. Fast foods, chain stores etc can use VOIP to deliver enterprise customer service to customers hereby bringing in more return on Investment. Branch to Branch communication is one tool to boost service delivery. For example, if a customer requires an item that is not in that particular branch, a call can be made to other branches to inquire if the item is in stock, which would then be delivered to any branch where the customer can pick up. Another example is the Interactive Voice Response (IVR) system which enables calls to be answered in a professional manner, routing calls according to the department the client intends to speak with, client pressing a button (“press 1 for Sales, press 2 for technical support”, etc.) and enables callers to ring a specific phone or a group of phones in the department. This ensures that your internal calls are routed to the right person, in time, and in a professional manner. Call Recording: When calls are being recorded, this ensures that the customer service desk responds to customer queries in a professional manner knowing that their conversation can is recorded for quality assurance purposes. Voicemail: Voicemail ensures your important customer inquiries are never lost. If a customer calls during off-business hours or when a staff is not on sit, the caller can leave a voicemail which will enable the called party to respond with a call back VOIP Features: VOIP telephony features like voicemail, call hold, call transfer, Find Me/ Follow me, Call park, etc which are all telephony features can be deployed to bring enterprise telephony features into the organization. In this modern age where technology affects the way we live work and play, we as humans now have a plethora of ways we communicate using Voice, Video calling, Chat, text messaging etc. The only variant intercom can proffer to us is Internal voice calls, while VOIP, being a disruptive technology which works with the IP network can proffer Voice, Video, chat, text messaging, tele-conferencing all in a piece. VOIP is the way to go for hospital staffs that operate in competitive, time-sensitive environment. 1. VOIP makes internal communication between patients & hospital staffs possible. It also connects the hospital to the outside world because using VOIP you can have both outbound and inbound calls to the hospital from patients in the homes or intending customers who want to inquire about the hospital. 2. VOIP telephony will reduce movement of staffs around the building, increase privacy, because people who want to communicate with you now have different ways of doing so other than barging into your office, climbing stairs, etc. 3. Patients can call into the front desk at any time to book an appointment with the doctor, antenatal, surgeon, consultant etc, inquire about test results, get medical advice etc. 4. In case of emergency, patients have a centralized number to call either from the hospital or outside the hospital for urgent response. 5. No need for doctors or staffs to always give out the private numbers to clients or acquaintances because since they have their office extension which they can give out to clients. That way business remains business. 6. For high priority staffs like doctors, surgeons, midwives who always need to be in reach of the hospital, we can configure their mobile phones with VOIP so that if they are not on sit they can still be reached via their mobile numbers automatically without any human intervention. 7. For a hospital, customer service is very essential because life is very precious. With features like Voicemail, call forwarding, auto-attendant, call recording, queues, inbound calls can be handled in a very professional manner. With voicemail, it makes sure missed calls can be returned, calls can be recorded for quality and training purposes. With call recording, your customer service knows his/her calls are being recorded so he/she would be very professional when handling clients. 8. All outbound calls from mobile phones can be made directly from staff IP phones giving the hospital a centralized call billing system and not giving everyone recharge cards which can be used for non-business purposes. 9. Mobility: VOIP can increase communications between staffs even if they are mobile within the building or they are in their homes, abroad on vacation, etc. In this scenario, staffs can have a softphone APP installed on their phones or laptops and configured to the VOIP server in the office. That way they can make phone calls at no charge whether they are at home or away on vacation hereby increasing communications. 10. Staffs need not to be tied to their desk phone extension alone because they can also have the softphone APPs installed on their mobile phones which functions like the desk phone. This way, anywhere they are they can be able to receive their calls. The banking industry has seen the advantages of having a VoIP system offers them the quality, scalability and reliability that their business need. Savings have been a huge incentive for these industry to finally make the switch, but other benefits have played an important role in that decision as well. In the banking industry, switching to a VoIP system is not only about the savings but the advantages it offers. One of the many benefits VoIP offers the banking industry is the possibility of having branch to branch communication without having to pay for every single call. Making outbound calls to customers, clients or personnel is also a savings advantage, as the ability of having toll free lines for their customers..
Another great advantage in deploying VOIP in the banking Sector is Customer Service. Banks usually have a contact center or Customer service number which when called hits the auto-attendant, routing calls according to customer needs, customer pressing a button (“press 1 for check account balance, press 2 for credit card issues”, press 3 to speak to a live person etc.) and enables callers to ring a specific phone where customer service reps can respond to customer issues. This ensures that your internal calls are routed to the right person, in time, and in a professional manner. As a requirement, VOIP allows contact center calls to be recorded for quality and confidential reasons. The results are all worth it since VoIP solutions for banks usually come with a range of benefits. The smooth flow of phone calls over data networks can facilitate bank-to-bank communications as well as customer service calls. 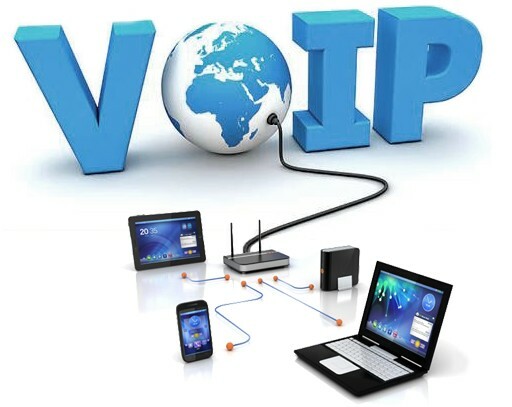 The lower long distance costs are a good way to cut down on expenses, and VOIP’s Cutting edge features & Value added Services like Conference calling, Voicemail to Email, Video, Call hold, transfer, Interactive Voice Response, Find/Me Follow me, and a host of other features make VOIP a reliable solution for the financial industry. Since the 1980s, the BPO industry has been the solution for many businesses in western countries. Outsourcing has been a very practical option for many industries which had to tighten their belts when it came to operational costs. Hiring people from other countries to work for their customer service and other business activities through the Internet has become a trend for many of these old as well as emerging industries.